Retired Employees of Federal Government of Pakistan, Pensioners will now receive their monthly pension directly in their bank account in any scheduled bank after submitting necessary forms and documents. No need to maintain pension book or to send any bills. This new facility is not only convenient for pensioners but it will also enhance the efficiency of payment processing. According to details, Federal Finance Minister has ordered to convert all the gazetted employees (BPS-17 to 22) to Direct Credit System (DCS) of pension payments before 31st March, 2016 in the first phase. It is now mandatory for retired officials of BPS-17 to BPS-22 to convert to DCS system before 31 March, 2016 in order to get regular pension beyond this date. 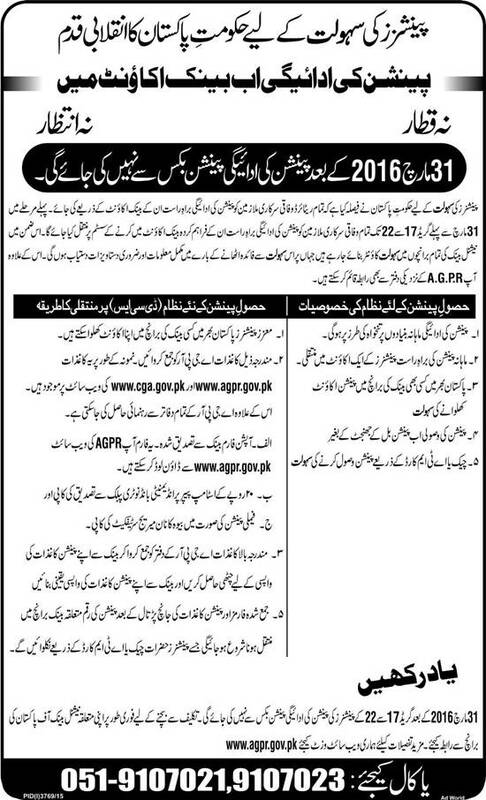 This new direct credit system of pension for employees of BPS-1 to BPS-16 will be started later on. Pensioners Facility Counters have been established in all branches of National Bank of Pakistan where all necessary documents and other information are available. Pension will be paid directly through pensioners' bank accounts on monthly basis just like salaries. Pension account can be opened in any bank of Pakistan. You can withdraw your pension with check or ATM Card. Option form - DCS You need to open a pension specific single account in any scheduled bank of your choice and get this form attested by the bank for verification of your bank account particulars. This is to be sent to AGPR. Indemnity bond on Rs.20 stamp paper, to be attested by notary public and provided to your bank. Original Pension Book You will have to return your original pension book to the bank from where you are presently drawing your pension. 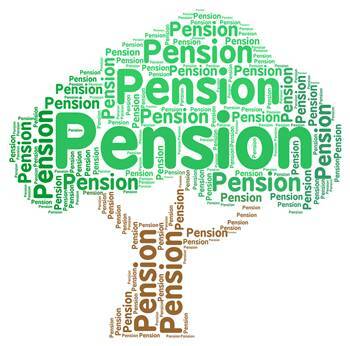 AGPR Office will need both halves of the pension payment order from your previous bank for revision in favor of direct. This is a one-time requirement. After completion of these formalities, your pension will be automatically credited to your bank account. For continuity of your pension you will have to submit a life certificate to you bank on the first of every March and September. This is just an internal control measure aimed at ensuring valid pension payments to our valued pensioners.